The 2018 Erasmus+ Call for Proposals is now open, and this year sees more funding available to higher education institutions (HEIs) than ever before in Erasmus+. So what’s available in 2018? We’re very pleased to say that the UK’s budget for student and staff mobilities to the other 32 Erasmus+ programme countries is increasing by more than 20% this year, to around €68 million. This means that HEIs can be more ambitious in their plans to increase the number of higher education staff and students who go abroad which ties in with the aims of UUKi’s Go International: Stand Out campaign. The numbers of students coming into the UK on Erasmus+ from Europe or beyond still outweigh the numbers that go out from the UK. In 2015-16 117%, or more than double the UK outgoing student mobility, studied or trained in the UK from Europe or beyond. Though the attractiveness of UK study is a good thing, we hope that UK HEIs can use this increase in funding to encourage more outward mobility, to balance these figures out. One way to do that is to take advantage of International Credit Mobility (ICM). Erasmus+ students and staff are venturing further afield, and in 2018 we will continue to offer almost €10 million for mobilities to partner countries through International Credit Mobility. This funding will support mobilities to and from a huge range of countries in wider Europe and beyond, such as Australia, Azerbaijan, Bosnia & Herzegovina, China, Israel, Jordan, Kosovo and Ukraine. Both students and staff are eligible to use these grants, and new in 2018 is the ability for students to undertake a traineeship through ICM, bringing with it the additional opportunity for outgoing student traineeships in 'digital skills', from the UK and to Switzerland and the Faroe Islands in a newly opened ICM region. The proportion of students going on Erasmus+ internships instead of study abroad has risen from 27% in 2007-08 to 39% in 2015-16 and this addition to the programme should result in a higher percentage increase going forward. Want to improve your chances of successfully obtaining ICM funding? 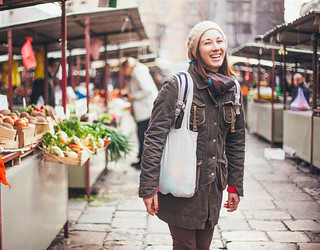 Consider applying for funding to exchange staff or students with institutions in any of the following countries: Albania, Azerbaijan, Belarus, Bosnia and Herzegovina, Georgia, Kosovo, Macedonia, Moldova, Montenegro, Serbia, or Ukraine. Why? These countries make up the European Neighbourhood Instrument East and Western Balkans budget envelopes of ICM funding, which to date have not been fully spent each year, so if you have a good quality project to propose, you have a good chance of being successful! In November, Naquita Lewis, the UK National Agency Erasmus+ Higher Education lead went to Ukraine to talk to universities there about what funding was available, and we were also lucky to have speakers from Kosovo and Azerbaijan at our recent International Dimension in Higher Education (IDHE) event. They highlighted the benefit of working in their countries, such as how many academics and students relish the chance to further their studies in economic development, democratic governance and human rights in a country such as Kosovo where they can clearly see the theories being put into practice. You can learn more about the HE landscape in those two countries via our IDHE morning presentation (starting from slide 48). Not sure if these countries would be of interest to your institution? A tip from other HEIs is to share this information with your academics across your institutions, you might be surprised that partnerships already exist which you could build upon through accessing Erasmus+ funding. For example, we know that the British Council has funded over 40 partnerships between UK and Ukrainian HEIs in the last couple of years, but only 18 UK-Ukrainian partnerships have been funded through ICM. It’s worth exploring whether your HEI is one of them! So what are you waiting for? Find out more about ICM funding, it might be just right for your institution.